Posted by nrhatch in Animals, Humor, Joke. Why did Rudolph the red-nosed reindeer cross the road? Posted by nrhatch in Animals, Blogging, Humor, Joke. Just a quick shout out to L. Marie . . .
I’ve made it! I’ve made it! It’s all about ME! Posted by nrhatch in Humor, Joke. Don’t drink and drone . . .
Or you might think you’re hallucinating! 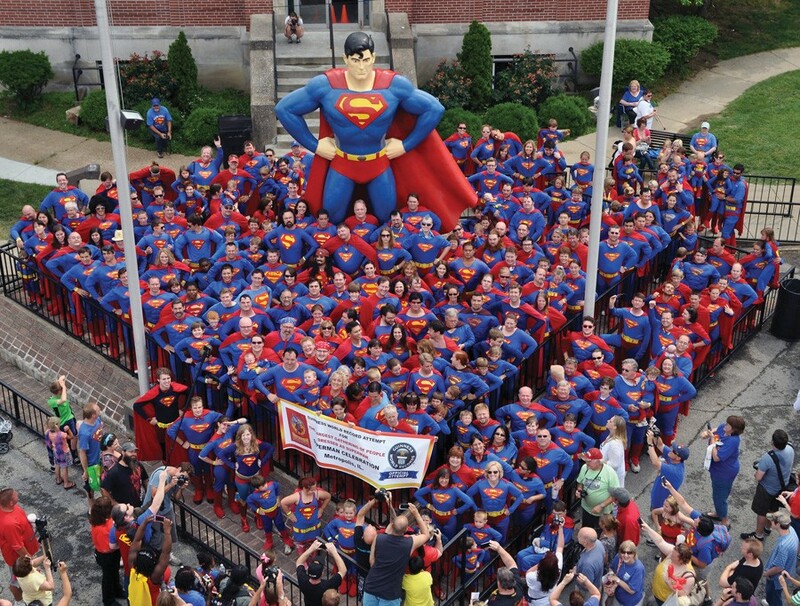 Each year in June, Superman fans gather in Metropolis for the annual Superman Celebration which features . . . a costume contest. Posted by nrhatch in Food & Drink, Humor, Joke, Magick & Mystery. I haven’t written to you in a number of years, but I think of you often and fondly. I hope that you and Mrs. Claus are doing well and staying warm. If you want a warm weather Winter Break after the 25th of December, let me know. We have a spare bedroom and the red tide should be gone by then. 1. A bottle of magic pills that will let me sleep for 8 straight hours . . . every night . . . with no side effects (other than a perpetually cheery disposition). 2. A personal chef who has mastered the art of Gluten Free Vegetarian cuisine (including delicious GF bagels, pizza, and bread) and who eschews cooking with fungi. 3. A magical scale that will let me weigh whatever I want to weigh . . . every day. P.S. I know you can’t give me a personal chef. But a few gift certificates to same would make great stocking stuffers! Aah . . . that’s the ticket! Why did the peacocks cross the road? A sign in time . . . Saves nine . . . or ten toes! Posted by nrhatch in Happiness, Humor, Joke, People. Other than a few select shows, BFF and I tend to stick with commercial free public TV. And not just because we get to avoid commercial commentary and odious and incessant political propaganda (i.e., campaign ads). We enjoy watching PBS because it offers up interesting fare which is less brain-numbing than prime time TV. By way of example, we recently caught a 3-part series on the human body ~ How We Grow, How We Protect Ourselves, and How We Think. In short, we are amazing! Our ability to preserve homeostasis in the face of temperature changes and microscopic invaders is nothing short of miraculous. But what about How We Smell? Receptacles in our nasal passageways capture on-going clues about odors and aromas. These scents and smells, once captured, signal whether it’s OK to “breathe deep” or scream out “HOLD YOUR NOSE!” (when warranted by disgusting overtones, unpleasant undercurrents, and big stinks). If something smells really bad, we wave our hands in front of our face to chase the overtones and undercurrents away. So . . . what does that have to do with Walter? Well, every once in a while, TV ads add to my day, rather than detracting from it, by making me laugh out loud at the amusing wit and entertaining wisdom of the right writers.